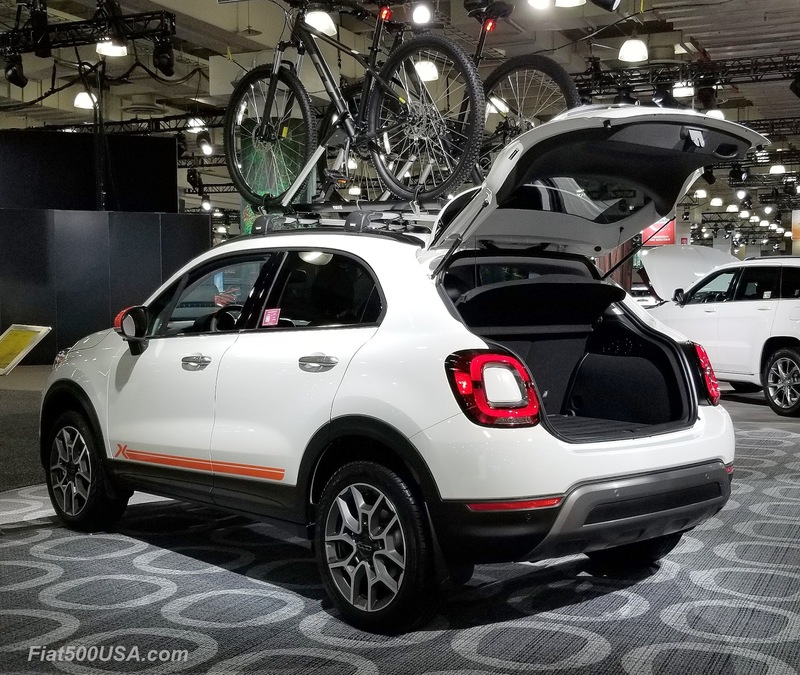 Fiat is displaying their 2019 model lineup at the 2019 NY Auto Show, going on Fri, Apr 19, 2019 – Sun, Apr 28, 2019. Here is a sneak peek at the cars on display. The 2019 Fiat 500X was prominently displayed with the Adventurer Edition package. 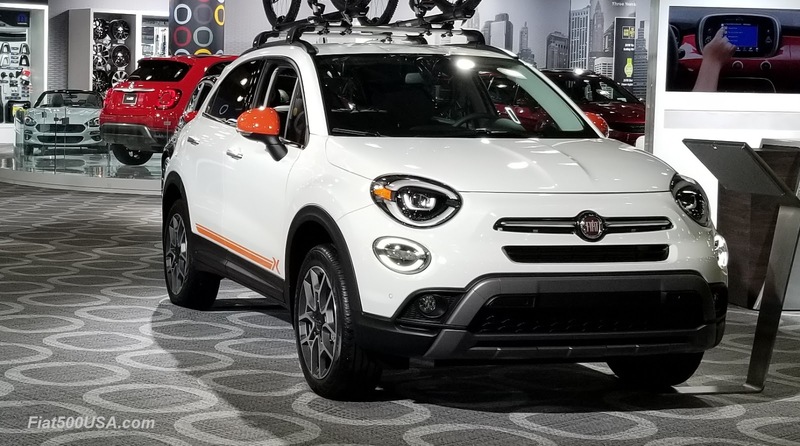 Note the new LED headlight design! 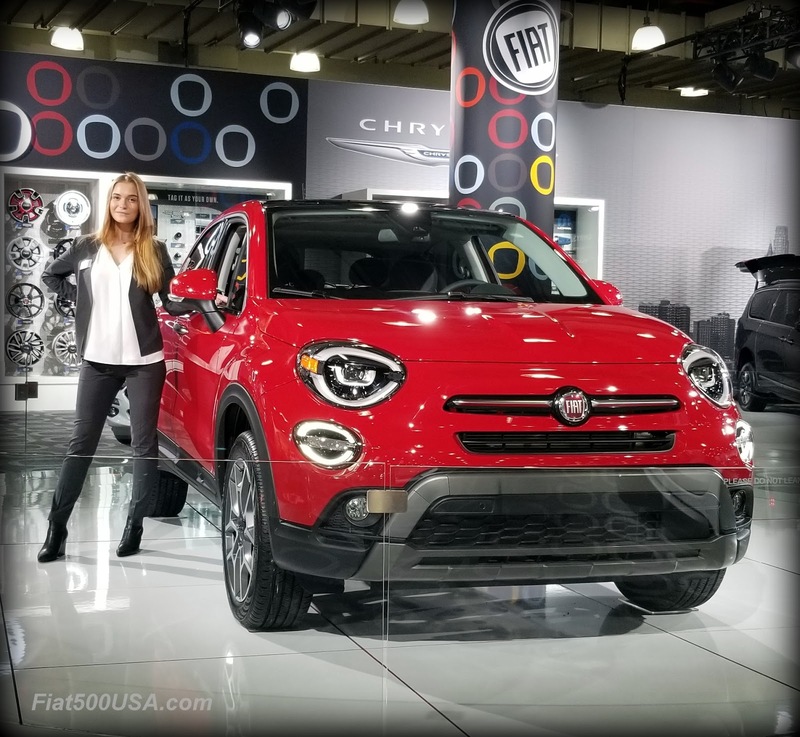 The 2019 Fiat 500X has a new standard engine- the powerful 1.3 FireFly Turbo -which gives the 500X the best-in-class torque rating of 210 lb.-ft. 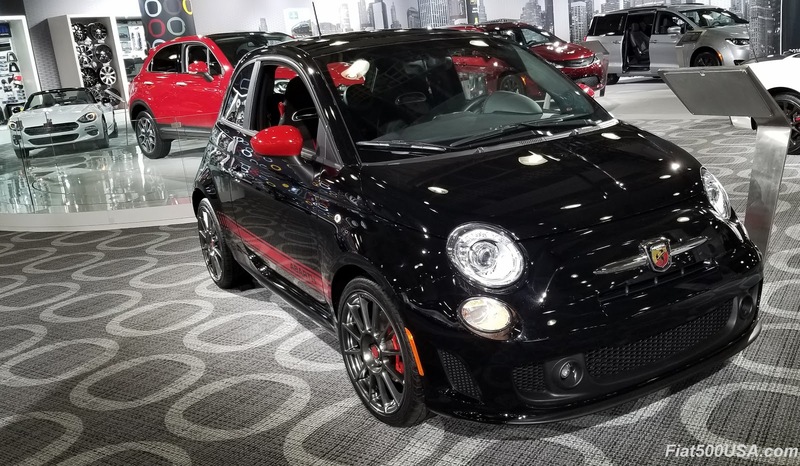 The Fiat 500 Abarth was on display and is unchanged from the 2019 model year, other than some color changes. Technically, the model on display was a late build (November) 2018 car. 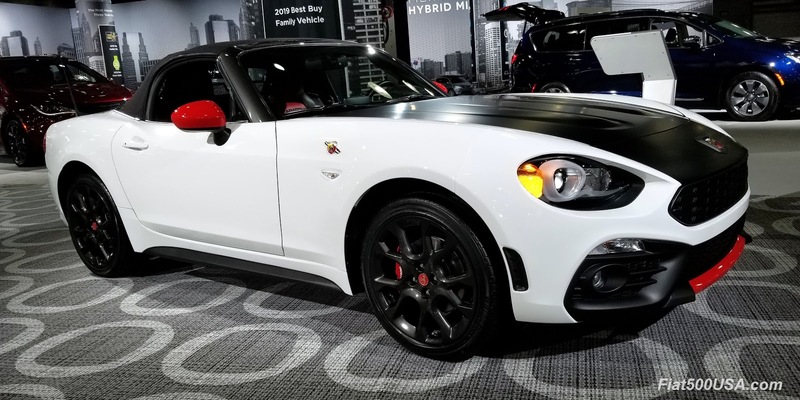 The 2018 Fiat 500 hatch and Cabrio models had a delayed introduction last year and is one of the reasons there are no real changes for 2019. The recently announced, Fiat 124 Spider Urbana Edition made its public introduction. 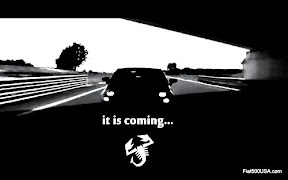 We broke the story that there was going to be an Urbana package available for the Spider one year ago nearly to the day. 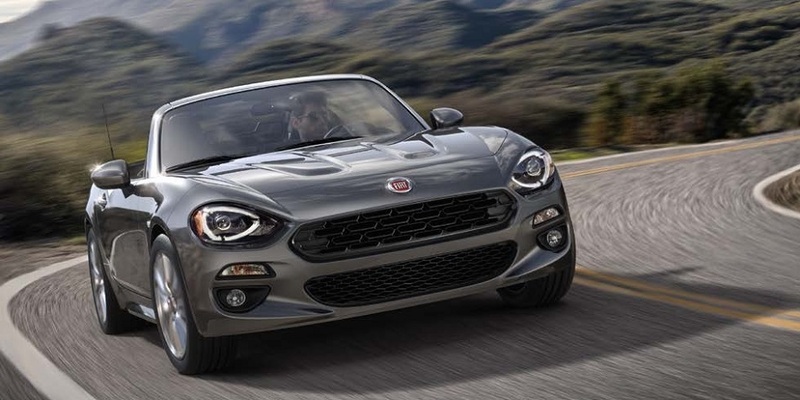 Fiat 124 Spider Urbana Edition Coming! The Urbana Edition is an option package on the base Classica model and offers numerous upgrades and enhancements at a terrific price point. 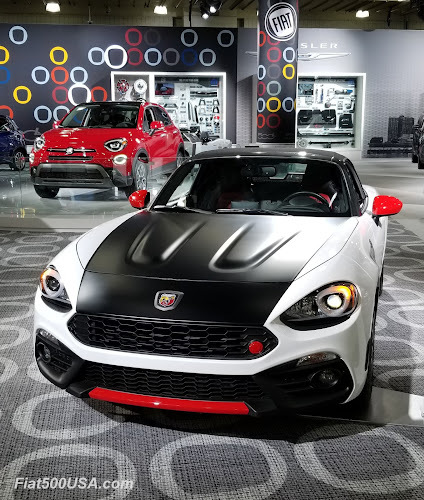 The Fiat 124 Spider Abarth with the Veleno Appearance Group makes the North American Abarth Spider look like the European model. Priced at $495, it is a bargain. 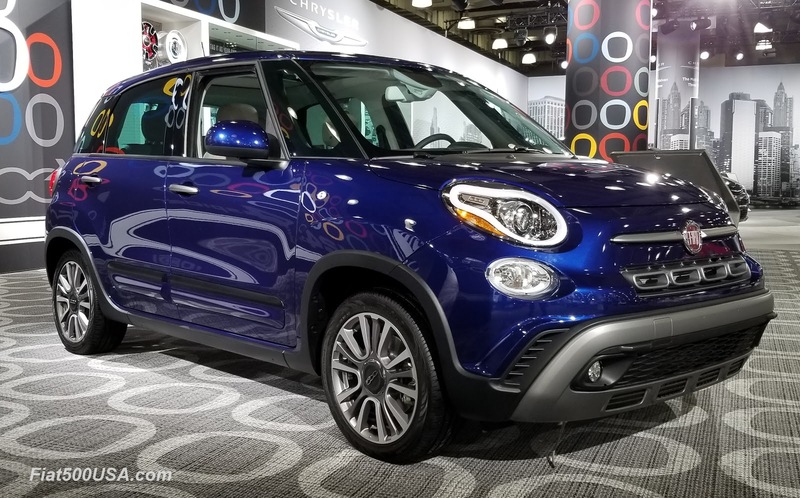 The Fiat 500L is the ultimate family car with that offers subcompact exterior dimensions with the interior room of a full-sized car. Discuss this story on the most popular modern Fiat Forum in North America! Model Year Changes Archives. 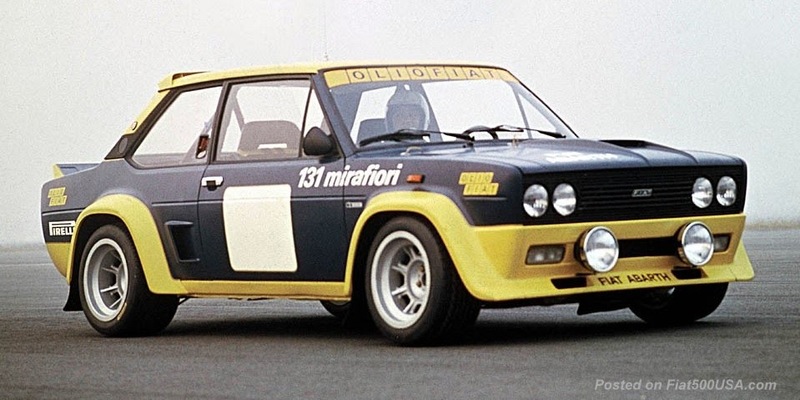 All the changes to Fiat models since the beginning! 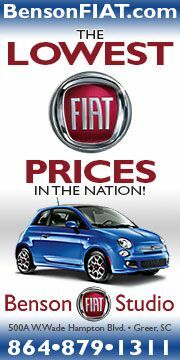 Mark your calendars for the must-attend Fiat event of the year! July 10-14, 2019. 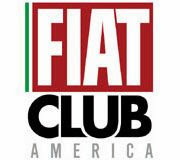 Those are the days the Fiat Club America will be holding its annual convention called the Fiat FreakOut. 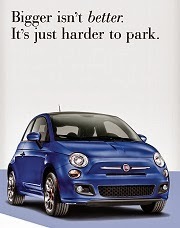 Now in its 36th year, the Fiat FreakOut is a fun, family-oriented event, packed with activities. This year, the Fiat FreakOut will be held in Greensboro, North Carolina located in the state's beautiful Piedmont region, midway between the Blue Ridge and Smokey Mountains. 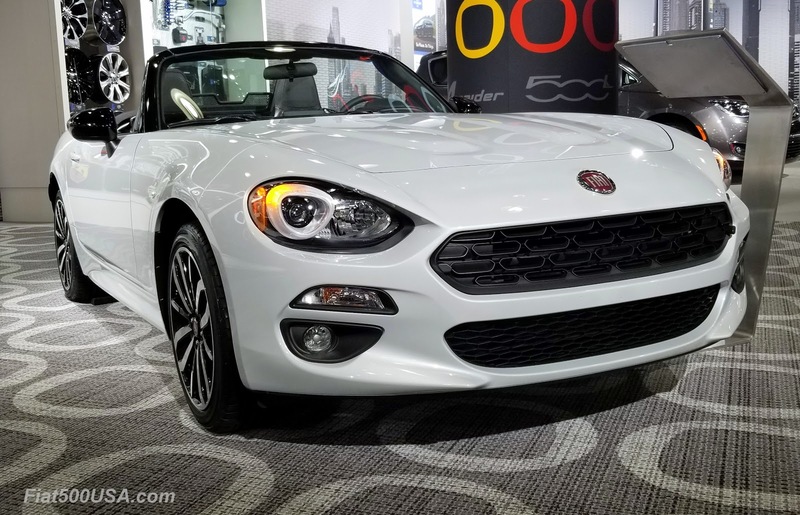 Expect to see the largest gathering in North America of both new and classic Fiats as well as various Lancias, Alfa Romeos and other exciting Italian cars. 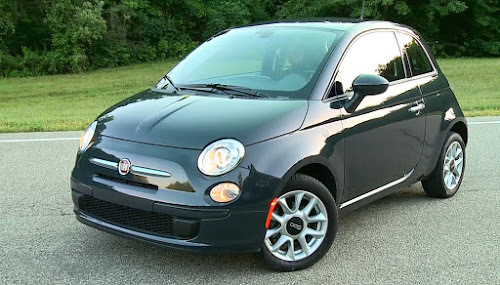 Plan on lots of socializing and car talk with friendly fellow owners. Along with being around great people and treated to all the fantastic cars, attendees will enjoy a jam-packed schedule of events, including a Concours car show, scenic drives to historic places, a track day, an autocross, and a visit to the oldest NASCAR track in history. There's something for everyone. The Grandover Resort in Greensboro is home base this year and is a fabulous venue featuring golf courses, dining facilities, a luxurious pool and spa, fitness center and exclusive club parking lot. 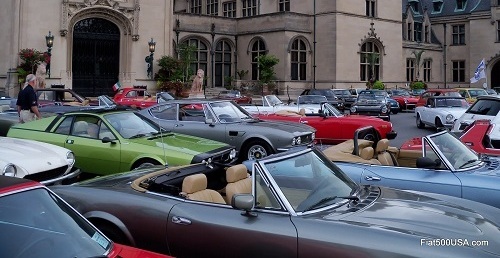 The resort will also be the convenient site of the Concours field. The club has secured a special rate that ends June 10, 2019. The rooms are filling up fast, so you need to jump on this fast. June 10th is also the deadline to register for the FreakOut, and registering now will help the club organizers ensure a smooth event. Visit the Club's website for all the details. See you there!